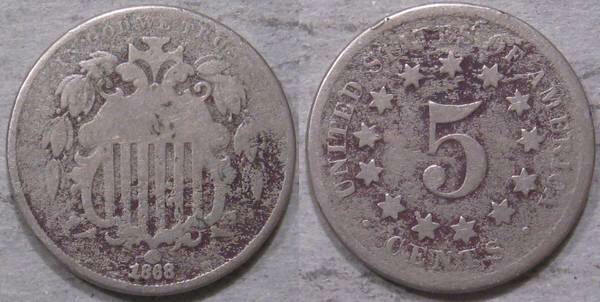 Shield Nickels were the first official coin called a nickel. Mostly because it was made out of nickel, among other metals. It was produced from 1866 through 1883. The picture below is what a typical Shield Nickel may look like. As you can see, the nickel got its name from the shield on the front of the coin. Unlike Buffalo Nickels, there is not much demand for Shield Nickels. Still, there value is well above face value. If you have Shield Nickels, let us know and we will make you an offer.